A Lower Thermostat = A Happier Life? Go below 65 degrees and extend the life of your fridge. THE LOGIC? Assuming that as your home is cooler, the fridge doesn't have to work as hard, translating into fewer potential maintenance problems and an overall longer appliance lifespan...in theory. If you want a better night’s sleep, lower your home’s temperature to 65 or below. THE LOGIC? Sleep scientists say that in a cooler environment the temperature your brain needs to reach before going to sleep is reached more quickly, and you fall asleep faster and stay asleep longer...for most people (Note: Personally, I DO buy this one -- I have to be a bit chilly to have a really nice sleep cycle, and have my best sleep blocks in hotel rooms where I can make it super cold). Shed a few pounds by dropping your thermostat below 70 degrees. THE LOGIC?The thinking goes that as the temperature drops, your energy expenditure/internal furnace activity increases, so you burn more calories. Over a period of several weeks, experts theorize that increased energy can translate into an extra 3,500 calories burned, which means one lost pound....maybe? And of course the biggest life improvement of all, lowering the interior home temp = Electric bill savings. THE LOGIC? Power companies all agree that each single degree drop in your hold temperature can reduce your energy bill by as much as 1-3%...3% of a $300 power bill is only about $9, but when you go from that single degree adjustment to five or more, the savings each month will really start to add up. Want to test the theory but not ready to go all-in or resolve to wearing a parka in your kitchen? 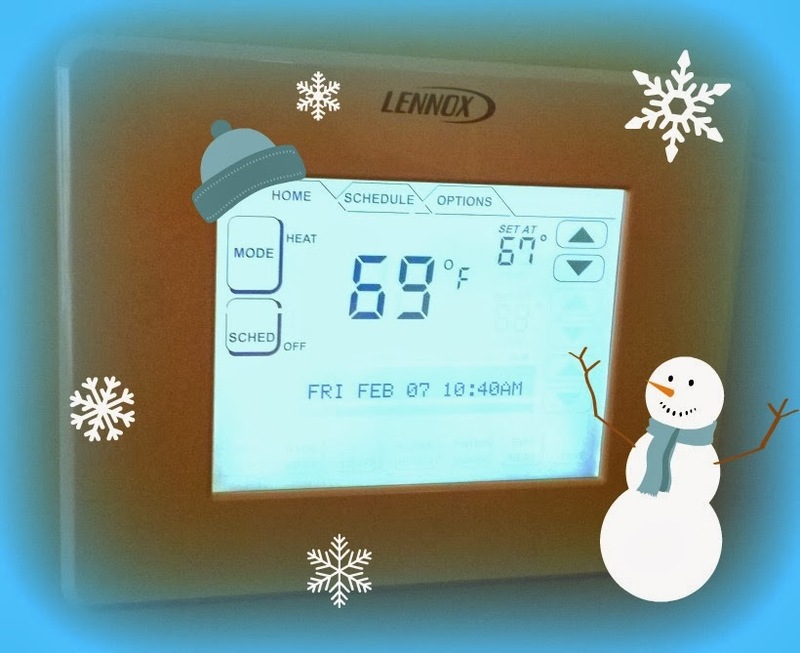 Consider only dropping household temps at night and while you’re at work, taking full advantage of your programmable thermostat. Already experienced positive results from keeping it cool? Have other ideas on life improvements related to keeping that thermostat in check or energy conservation? Share your thoughts with us!